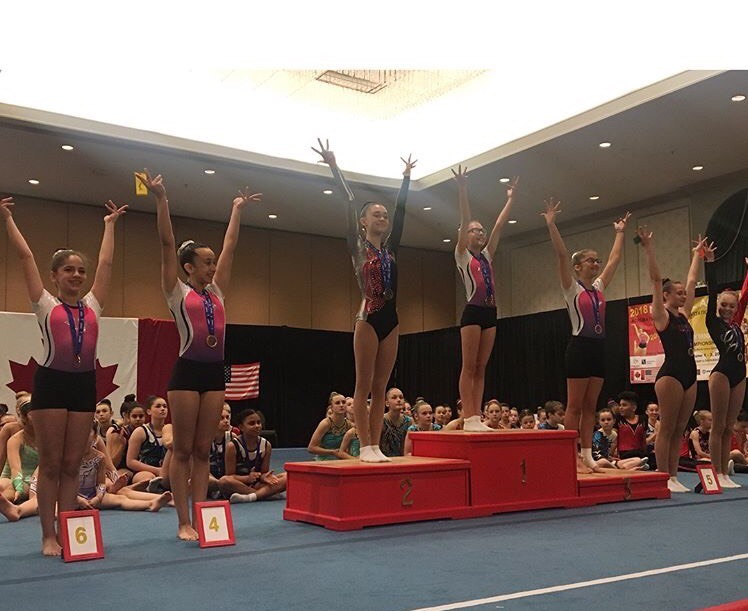 The Aerobic Gymnastics Ontario Championship took place at the Delta Airport & Conference Centre in Toronto on June 1 – 3, 2018. 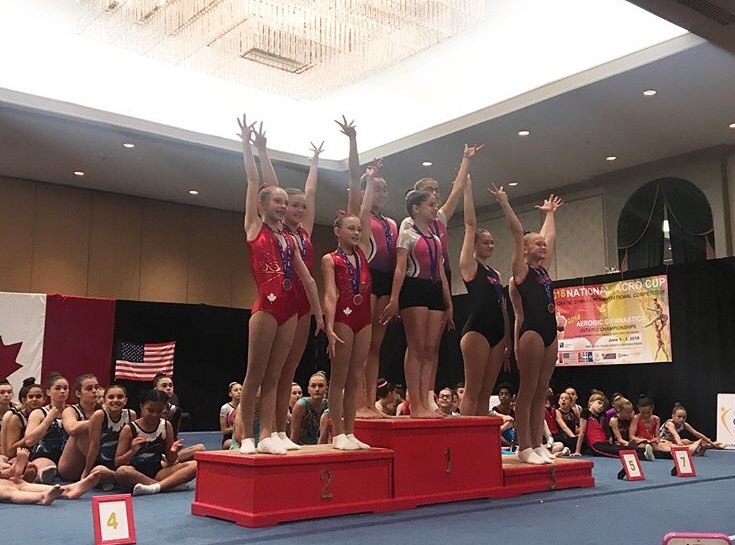 This inaugural event was held in conjunction with the National Acro Cup with both disciplines providing exciting performances and each showcasing the beauty and the energy of their sports through the smooth co-ordination of the competition format. A special thank you to World Class Gymnastics who hosted the Aerobics Championship and to the many volunteers whose involvement and hard work contributed to a very successful and well organized event. An enormous thank you is extended to the Ontario Aerobic judges, the Brantford Gymnastics Club and Perth Salto Athletics for their participation and dedication. Thanks also to Slava Corn, Megan Chant and dignitaries from GCG and the Gymnastics Ontario Board who were in attendance and presented awards. A job well done by all the clubs, coaches and athletes. Congratulations to the following 2018 Aerobic Ontario Champions!